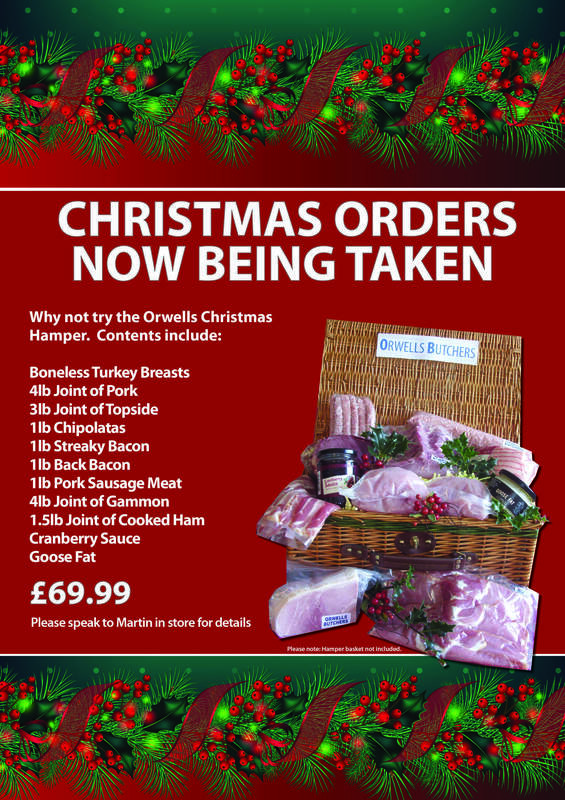 ORWELLS BUTCHERS ARE NOW TAKEN ORDERS FOR CHRISTMAS. High quality Christmas fayre, we will process your order and prepare ready for you to easily pick up in the days running up to Christmas without any stress or worry. Orders can be taken by phone but in person is always the easiest way to discuss your options, amounts and prices from our range of quality local products.